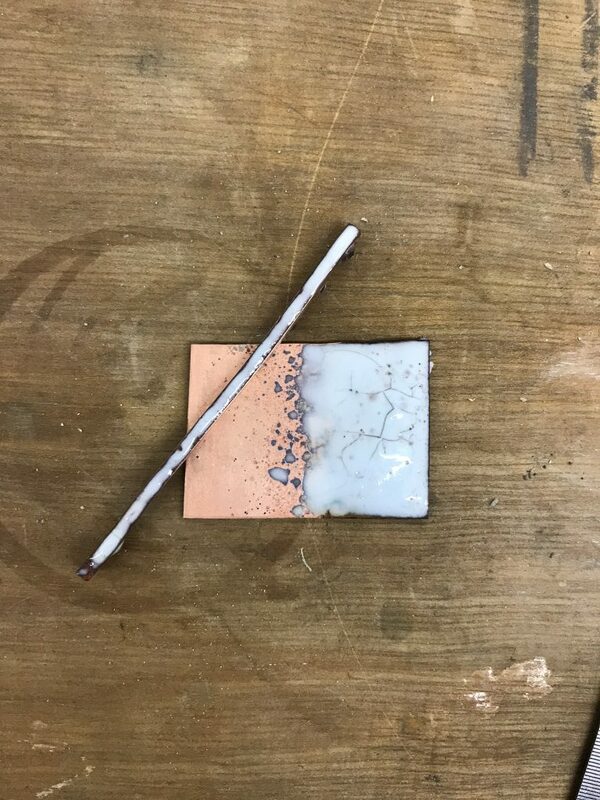 The first technique that came to mind when I thought of what I wanted to explore this year and with the brooch challenge was enamelling. But my first (and quite a big) hurdle with this was the fact I don’t own a kiln! My first port of call when trying a new technique/revisiting an old one, is always to check in with one of my wonderful jewellery friends to see if they have any tips or advice. It was a no brainer to drop the brilliant Rachel Butlin a message when it comes to enamel. She pointed me in the direction of WG Ball and after some further research into torch fire enamelling I purchased a bag of their lead-free enamel in pale blue. It’s been years since I enamelled, probably since my first year of university back in 2012. The area of the January brooch I hope to enamel is a small stretch of silver wire, so I started my tests on 3mm square copper wire. The first issue I encountered was the power of the flame just blew the powder straight off! 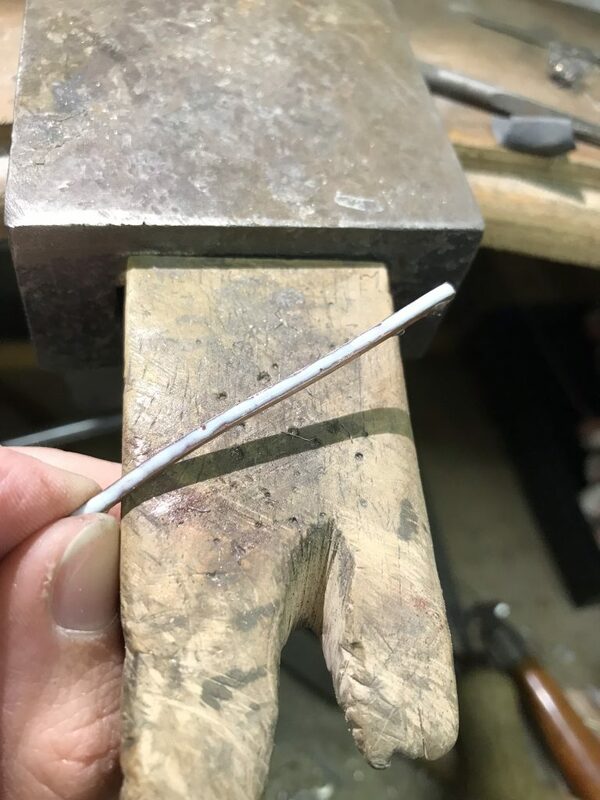 Which is not ideal, and once I was able to heat the metal enough the image above is all that I had left. 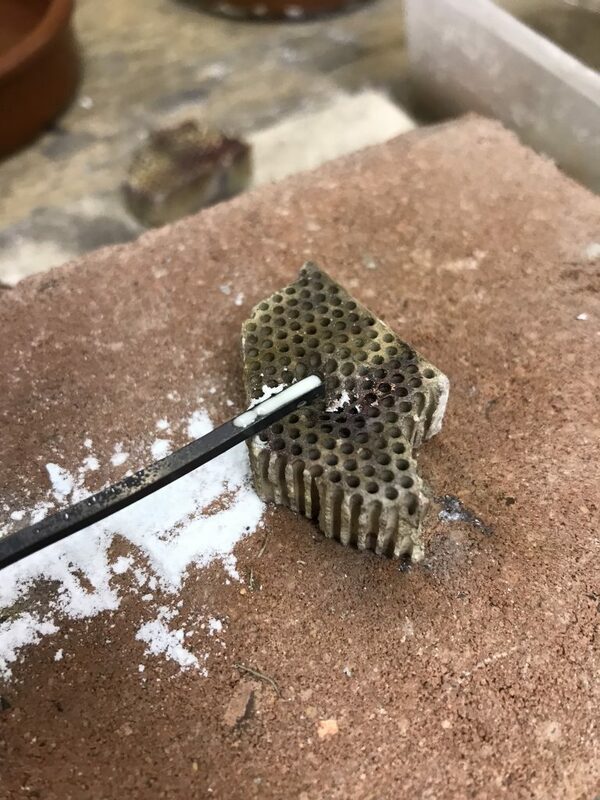 After several layers and attempts I managed to get a pretty good covering along the wire, which considering the main goal of this experiment was to see whether it was even possible for me to enamel without a kiln, was quite a success. I went on to trial enamelling sheet copper which was also semi-successful. It took around 4 layers to get a good coverage and it’s very uneven, but a good enamel coverage nonetheless and proof I’m also able to enamel sheet with just the heat from my torch. (The cracking I’m also 99% sure was due to my impatience and quenching the metal instead of allowing to cool naturally). The experiment was all in all a successful dive into an old technique ready to carry forward onto the January brooch!